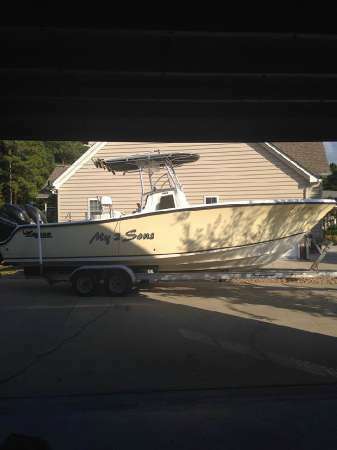 2008 Mako 264 Center Console This 2008 Mako 264 Center Console is powered by Twin 175 Evinrude ETEC's. 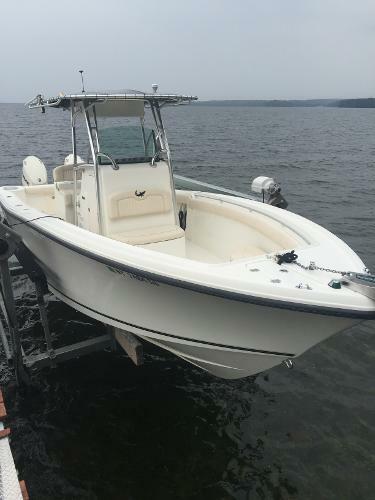 Includes: T-Top w/ outriggers Raymarine GPS Forward/Aft seating Trim Tabs Marine Stereo Electric Windlass Fish box Radio Box Much more to list! 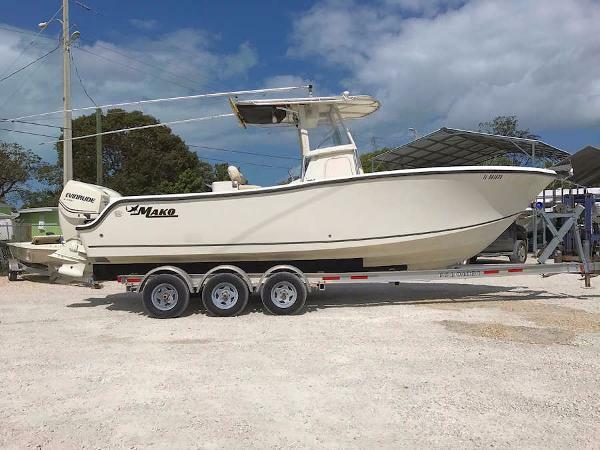 2008 Mako 264 Center Console On Sale Pristine Condition, Original Owner, Trailer Stored, Twin, Mercury :: OptiMax, 175 HP, 420 Hours Engine Warranty 2015 Electronics: Garmin 740 & 740F, GPS, Fishfinder, Depthfinder, Chartplotter, Sounder, Radar, Garmin VHF, Kenwood Stereo, Compass and Deepwater Transducer Trailer Available (Not included in Sales Price) Options: TTop, Electronics Box, Leaning Post, Spreader Lights, Bolsters, Dive Ladder, Trim Tabs, Rear Bench, Livewell, Fresh Water Washdown, Head, Macerator, Sink, Shower, Shorepower, 2 Batteries, Perko Switch, Battery Charger Seller Notes: Reason for Selling: Downsizing, Last Service: recent, Bank Note Ask for Joao Baccan With the power to handle heavy seas and the rugged, good looks MAKO is famous for, the 264 Center Console has the size and speed needed in open waters. 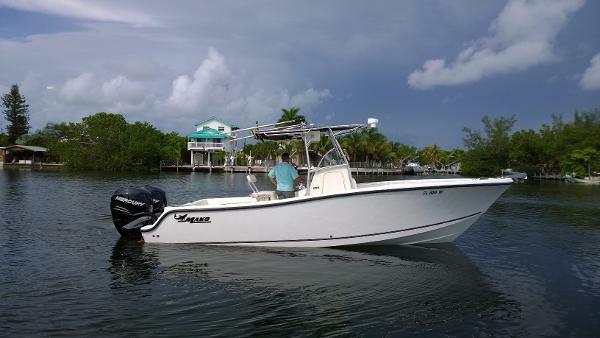 Built in the MAKO tradition, it boasts a ÔøOtougher-than-nailsÔøO disposition, a smooth, dry ride and a long list of standard equipment. An aggressive V hull is combined with a bow layout that offers maximum usable deck space without sacrificing storage. A one-piece, foam-injected fiberglass stringer grid enhances strength and rigidity. An optional, custom-matched aluminum trailer with oil bath hubs and sealed-circuit LED lights is also available. 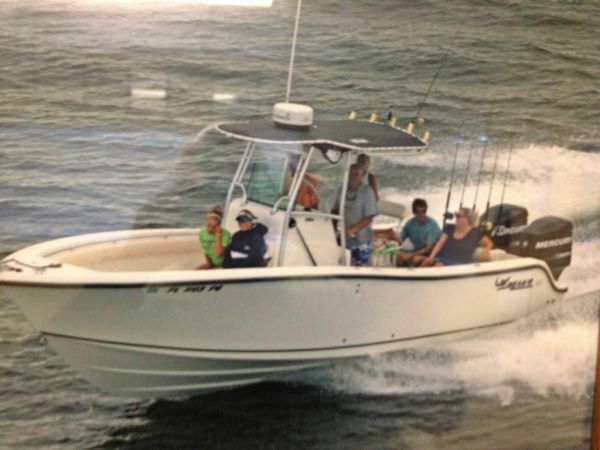 This may be our finest 26-foot center console yet.